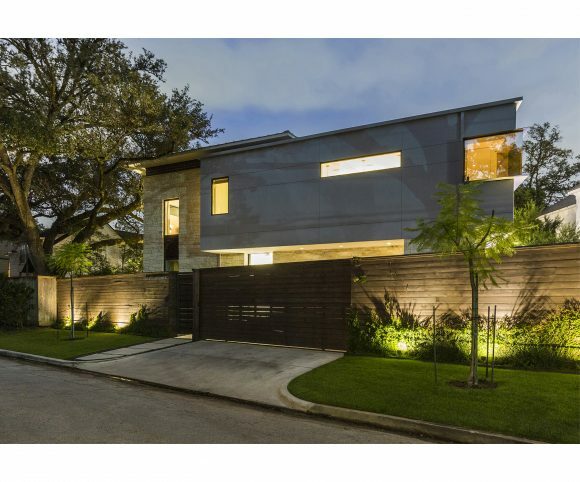 The design is consistent with the historical presence and architectural harmony of River Oaks, in Houston, TX. 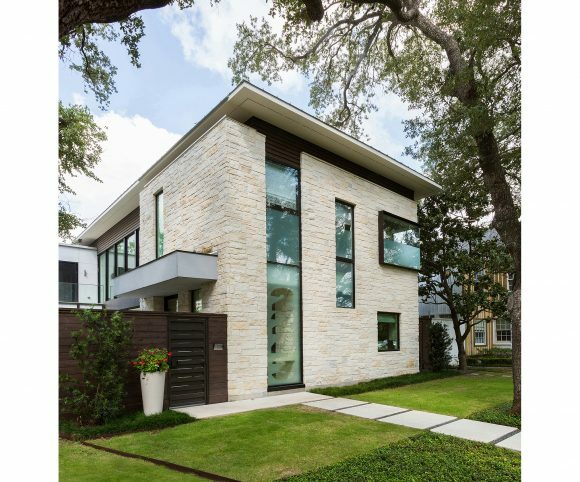 Vernacular materials like Texas limestone, traditional stucco and rich woods create a clean and elegant composition in a simple form. With its formal arrangement, the residence utilizes the pie-shaped lot in a logical way to provide vistas and open space. 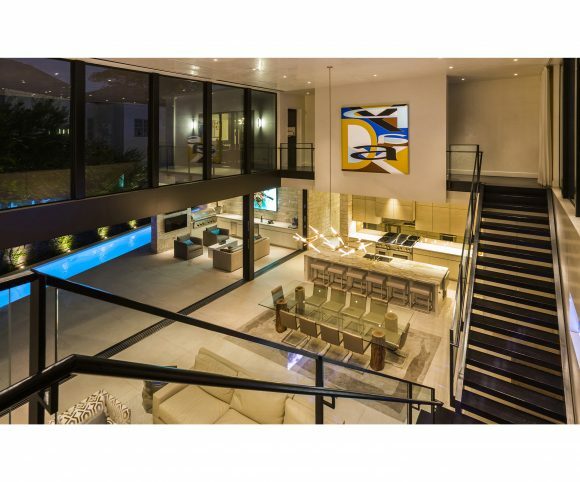 The plan is organized around a central indoor and outdoor living space. A split stair runs along the north wall connecting the master wing and daughter’s suite. 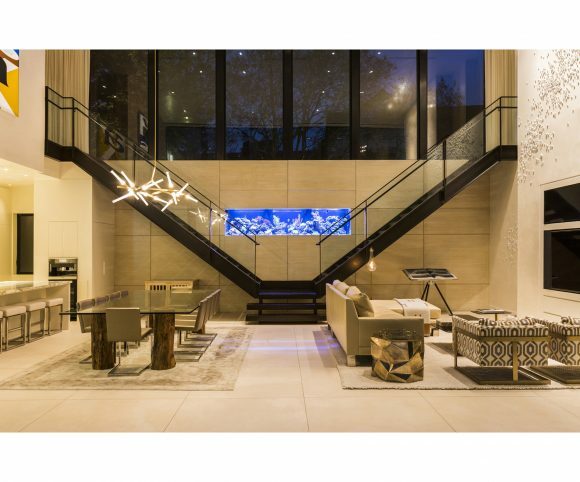 At the landing, a cantilevered aquarium serves as the focal point and the owner’s art collection is curated throughout the interior. There are two fronts to the residences on the courtyards of Stanmore; one to the street and the other to the vast green space of the shared community courtyard. Each facade has an important presence and the residence is designed to maximize the opportunities provided by them through responding uniquely to the different frontages. The courtyard facade has a stone veneer with a hipped roof. The residence then steps back in the plan to create an internal yard, as do the neighboring homes. This gesture brings down the scale of the residence and contributes to the openness of the courtyards by maintaining the rhythm of the present frontages. Several existing large oak trees are part of the east elevation as it softens the facade and obscures views to and from the second floor of the residence, giving the bedroom a “treehouse” feel. Project designed in collaboration with George Allen Cole, LLC. & Lucinda Loya Interiors.